Millicent Menetta Perry was born on 17 August 1887 in Angaston, South Australia , daughter of Thomas Samuel Perry and Mary Wright. On 28 September 1916, Millicent, aged 29, married Gotthold Alwin Thamm, aged 32, son of Emil Thamm, in residence of Mrs. T S Perry in Angaston, South Australia . Alfred Perry was born on 10 December 1850 in Noarlunga, South Australia , son of Alfred Perry and Eleanor Gordon Clark. On 19 June 1886, Alfred, aged 35, married Mary Clark, aged 27, daughter of James Clark and Ann Baird Craig, in Noarlunga, South Australia . He died on Wednesday, 9 February 1921, aged 70 years, 1 month and 30 days, in Noarlunga, South Australia . Mary Clark was born on 1 September 1858 in Noarlunga, South Australia , daughter of James Clark and Ann Baird Craig. On 19 June 1886, Mary, aged 27, married Alfred Perry, aged 35, son of Alfred Perry and Eleanor Gordon Clark, in Noarlunga, South Australia . 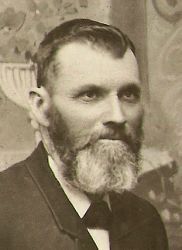 James, married Ann Baird Craig. James Leonard Perry was born on 18 September 1887 in Virginia, South Australia , son of Alfred Perry and Mary Clark. Alfred Stanley Perry was born on 22 October 1888 in Noarlunga, South Australia , son of Alfred Perry and Mary Clark.